Our agents have been serving the Carlisle, Harrisburg, Camp Hill, Mechanicsburg, York, Enola, Hershey, and surrounding Pennsylvania area for 19 years! All areas of the United States are welcome to contact us for any travel needs. Elliott Excursions is now 19 years old and and remains one of the few "FEE FREE" agencies in the area. Brenda still works very hard when researching the best vacations for you, from budget to luxury, and does not add the fee that most of the other agencies have decided to charge in order to stay in business. Travel deals are our specialty, not just for Pennsylvania residents but for the whole United States as well so please feel free to contact us. We appreciate your business and love your recommendations to friends and family! ​Do you feel uncomfortable booking with an agent you do not know? Or are you someone who likes to do research but doesn't want to pay in full upfront with an online travel site? If possible, Elliott Excursions will Price Match any online price you may find that is lower than a quote you receive from us. Just ask! 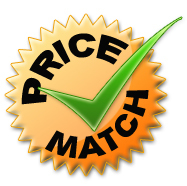 Price match must be done before the deposit is made. In addition to receiving professional service, you will receive a usable gift to take along with you on your trip when booking with Elliott Excursions. A HUGE thank you to the best travel agent around! Brenda Elliott of Elliott Excursions. She never fails to find us the best possible solution despite all of our craziness!! Highly recommend her!! Brenda is the best travel agent who does something that sets her apart from the rest....she listens and gets you exactly what you want. We are so lucky and blessed to have you!! Thank you!! !